A persistent Senate impasse over worker rights is raising concern about the homeland security bill's chances of passing Congress this year. The dispute centers on President Bush's demand for greater authority to hire, fire and deploy the estimated 170,000 employees who would work in the proposed homeland security department. Senate Democrats insist that workers transferred to the new department keep their union protections, while Republicans say the president must have the right to get rid of union rules. "Americans expect the new department to cut through red tape so the very best people can be hired and placed in the right jobs with the right pay," said presidential aide Tom Ridge on Thursday. "Americans expect the new Department of Homeland Security to be able to respond quickly to the new threat," Ridge, head of the Office of Homeland Security, told the U.S. Conference of Mayors. Ridge later met on Capitol Hill with Republican leaders and insisted there was still time to reach compromise. "I know lines have been drawn in the sand, but I'm still hopeful. We're so close," Ridge said. While the White House continues to slam Senate Democrats for not passing the bill, it's actually the Republicans who are filibustering, voting down efforts by Senate Leader Tom Daschle to end the debate, CBS News Correspondent Bob Fuss reports. Daschle, D-S.D., said the Senate may set aside the homeland security bill temporarily to debate on vote on an Iraq use-of-force resolution, but he added: "My hope and expectation is we'll finish homeland security." But Sen. Harry Reid, D-Nev., the assistant majority leader, isn't so sure. 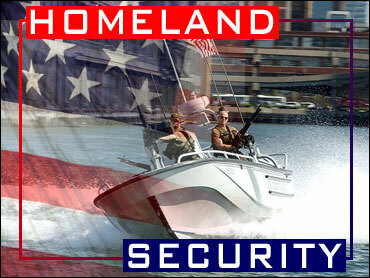 "I have the distinct impression that they (the GOP) don't want to finish the homeland security bill," Reid said. Republicans contend that Democrats have been unwilling to compromise enough because of the influence of labor unions, especially those representing government workers, over the Democratic Party. "They have not been willing to choose between their friends, the big labor bosses, and national security," said Sen. Jon Kyl, R-Ariz.
Democrats say it's Bush administration intransigence on the department's work force that is causing the delay. "We support homeland security, but we want to make sure we protect the rights and freedoms of our American citizens," said Sen. John Breaux, D-La. Still, lawmakers of both parties said they would continue trying to reach an agreement, even as the days in this congressional session dwindle and the Nov. 5 election looms. "I think we need to do it before the election. But I think it can be done," said Senate Minority Leader Trent Lott, R-Miss. On Thursday, Ridge urged mayors, police and fire officials to push Congress to pass the bill. The White House on Wednesday denounced the latest effort at compromise, offered by Breaux and Sens. Lincoln Chafee, R-R.I., and Ben Nelson, D-Neb. Spokesman Ari Fleischer said it would reduce the president's existing ability to exempt workers from union agreements in matters of national security. The proposal, which appeared to command enough votes to pass, would give Mr. Bush much of the flexibility he wants to set up a new personnel system. But before the president could waive union rights, a worker's job would have to change substantially in the new agency. A majority of the workers in that unit also would have to be involved in terrorism-related investigative or intelligence work. Most Senate Republicans, joined by conservative Democrat Zell Miller of Georgia, said that would hamper the president's ability to rapidly confront terrorist threats with the proposed department's 170,000 workers. They were holding out for a clear-cut vote on an alternative offered by Miller and Sen. Phil Gramm, R-Texas. That measure would give Mr. Bush the authority he seeks but is opposed by Democrats and their labor union allies. A vote was set for Friday to force action — one requiring assent of 60 of the 100 senators — but it was not expected to succeed. Even if Democrats eventually prevail in the Senate, the legislation still must be reconciled with a House version much closer to Mr. Bush's original plan. The president, backed by House GOP leaders, could exert great pressure in those sessions for his management powers.